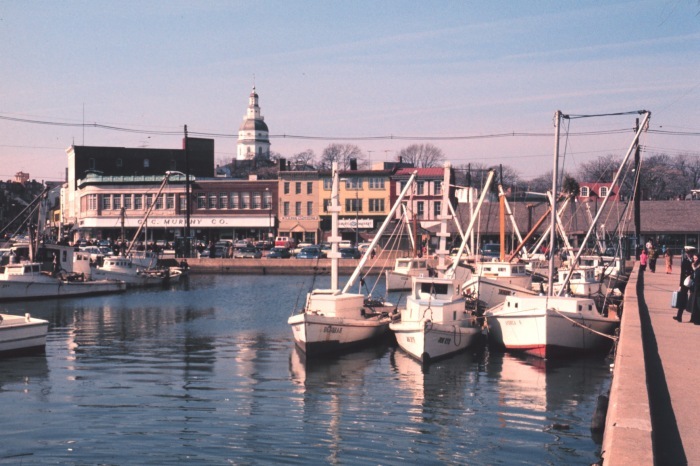 Annapolis, the capital of Maryland, is over 350 years young. It is a vibrant city, proud of its charming colonial heritage, while offering visitors the latest in dining, accommodations, shopping and entertainment. Annapolis is home to the United States Naval Academy and St. John’s College, a liberal arts college with a history going back to 1696. Annapolis is well known as a center of sailing and boating in the Mid-Atlantic. Our neighborhood of Eastport, across the bridge from downtown Annapolis, retains much of its old maritime character, showcased at the Annapolis Maritime Museum. Annapolis has some of the finest examples of colonial homes, including the Hammond-Harwood House and the Charles Carroll House. We have a rich African-American history. We honor those who arrived as slaves, including Alex Haley’s ancestor, Kunta Kinte, at the Kunta Kinte-Alex Haley Foundation Memorial and the heritage of the Maryland African American community at the Banneker-Douglass Museum. Annapolis is about much more than history. It is town that has everlasting charm. There are several public parking garages in and about town and you really should make use of one of them. Annapolis is best enjoyed on foot. There are wonderful boutiques and sandwich shops and taverns up and down the main street. At the bottom of the hill, sits the waterfront. Personal craft large and small use the docks. Warm weather evenings are filled with laughter, conversation and music as the boat owners enjoy friends watching the boat watchers pass by. The air is filled with a hint of bay seasoning. Think crabs. Buddys is just up the block and Maryland’s version of picking and grinning occurs nightly. Don’t mind the brown paper table covering, grab a mallet and enjoy the Chesapeake Bay’s finest. It doesn’t matter the time of day that you visit, if you stop in at Chick and Ruths on Main Street, breakfast is served. You can dine in booths where Don Shaffer (former politico big wig), Bob Erhlich (another big shot) and I have eaten many a meal. The deli is an institution and every visitor creates a life long memory. There are many other restaurants in and around the area from Ruth’s Chris to the world famous Boatyard Bar & Grill. Annapolis has something to please every palate. If you would like a little quality entertainment with your meal, you have to visit the Ram’s Head. Of course, check the schedule and see who’s playing. They are sold out on many nights. If you are lucky enough to get a table, the meal is wonderful but the treat is the intimate setting used by the artists. Of course, any information about Annapolis has to include nearby Quiet Waters. It is a park setting that offers a place for meetings, conferences and weddings. It is incredibly beautiful year round. One of the hidden secrets involves the art that is often on display. 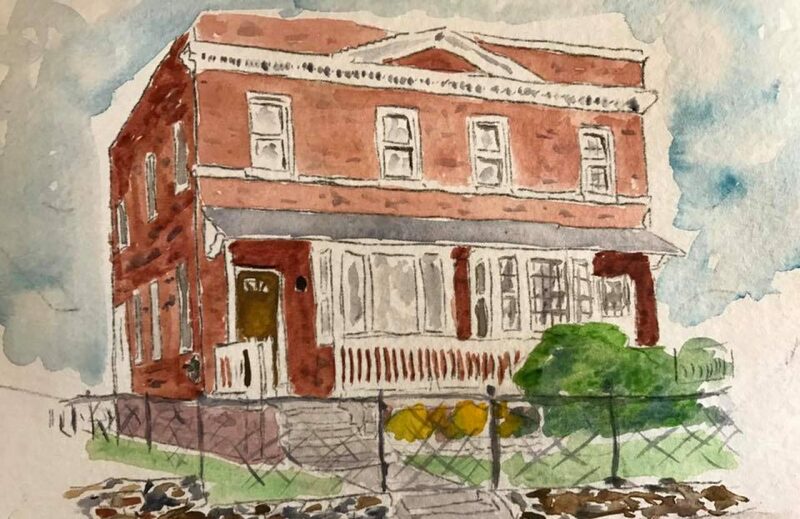 Local artisans hold showings here and many capture Annapolis so wonderfully that you leave owning original art. One other event that takes place nearby in the Fall is the Renaissance Festival. Rennfest, as locals call it, is held over a series of weekends. You can walk the grounds, enjoy an elephant ride, watch a magic show, be serenaded by wandering troubadours and feast on fried turkey legs. It is a great family (all day) affair. Annapolis, the State Capitol, has much to offer. It is a fun place to visit and a great place to live. If you would like more information about Annapolis and the surrounding area…CONTACT ME . I love the town and would welcome the chance to help you make it a home. As mentioned above, Annapolis is the capital of Maryland. The State House sits atop the hill, right up West Street from the city docks. On a fall afternoon the historic homes in the area are accented by beautiful foliage for the old Oaks and Maples in the area. It is safe to say that the views in Annapolis are breath taking year round. Long before route 50 reaches Sacramento, it passes through Washington, DC. The highway provides those that work in the District of Columbia an easy access commuter route to work. Of course, local traffic is heavy and those commuting have to be up early. The reward is coming home to Annapolis. Waterfront homes and communities surrounding the downtown area offer a wide variety of styles and prices to potential residents. Home prices range from the low $200,000’s to over $3,000,000. There are condo’s, town homes and single family homes to cover a wide spectrum of pricing. They all share one thing … they are in and around Annapolis and every person has the same access to the attractions located there. Of course, the United States Naval Academy is located here and the traditions surrounding the Academy do influence the town, but Annapolis has so much more to offer. In addition to the unique shops found downtown, one can get lost in the dining choices available. The menu’s run the gamut from Maryland Blue Crabs to Prime Rib to a multitude of sandwiches available at any one of the sandwich shops in town.. Waterfront dining is available at several restaurants located around the docks. A local favorite past time is to grab an ice cream cone and stroll the waterside admiring the boats anchored there. Annapolis is not mired in the past. Just a few minutes from the city docks are upscale malls and nationally known chain stores. You can by your favorite Irish friend an authentic Celtic tie by the docks or treat them to a copy of Riverdance at the local Best Buy. Personally, I went to Jared’s to buy her that ring. Annapolis is as historic as an oil painting and as fresh as a plein air watercolor. The seasons change vibrantly from the soft hues of summer’s flowers to the intense blue of a summer’s sky to the golden leaves of fall to the pristine crystal clear stars of a winters night reflecting off the water. Annapolis is alive. Newcomers mingle with locals that are interspersed with midshipmen from the Academy. Nightlife begins with extended Happy Hours and features several venues offering live music. The local mall has a multiplex movie theater showing current films. Annapolis is more than a tourist attraction. It certainly features landmarks and historical neighborhoods but it also is home to butchers, bakers and candlestick makers. Local shop owners and commuters are all comfortable living here. The schools, public under Anne Arundel County Schools and private from pre-school to Saint John’s College, are some of the best in the nation. Annapolis is a wonderful place for singles just starting out, young families and “empty nesters” as well. There is something here for everyone. If you are considering moving to the area and would like to know more about Annapolis and homes that are available there, feel free to CONTACT ME. I will be glad to share my knowledge of the area and help you in your move.